From our extensive collection of Venetian mirrored furniture comes the brand new and simply stunning Rome mirrored range. 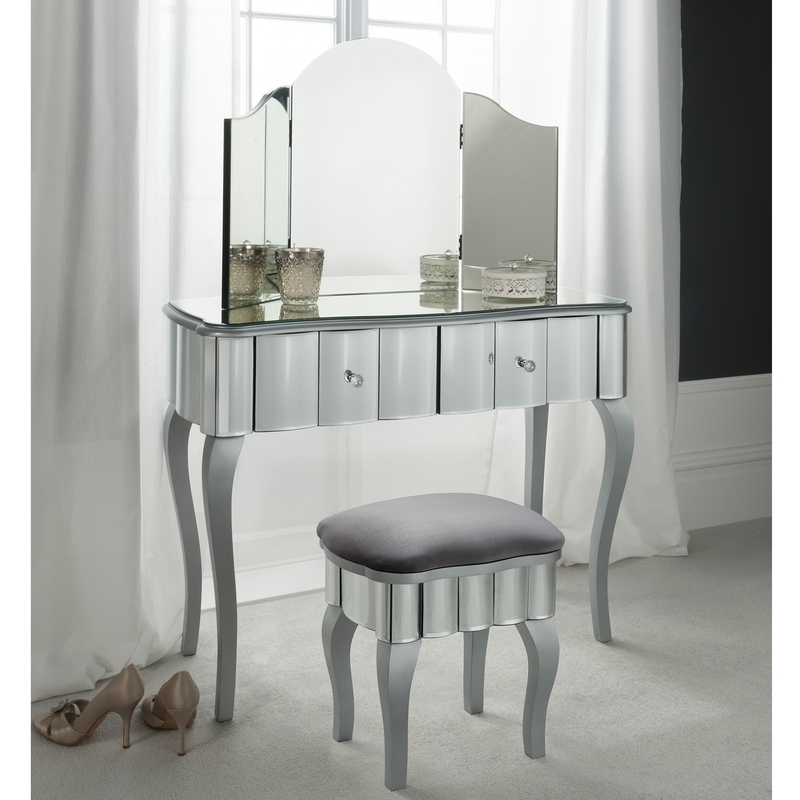 Crafted from clear cut glass, this beautiful dressing table set including a 3 panel mirror and stool features 2 curved drawers with crystal handles is sure to brighten up any bedroom in your wonderful home today. Perfect in a variety of settings.